Hello there! I have read and been touched by your blog and your families story! My sister sent to me and thought I should send my photos. I have had the blessing to travel and see beautiful sights. I always felt it was my obligation to capture as much as possible to share with people who might never get the chance. I would love to share with little Nathan. Here is my website http://www.peopleofbeauty.com. Love to you all. Thank you for sharing your beautiful website with us. You are very talented and given us rare glimpses of things we would never have seen. Thank you!! Can we pray for your daughter also? We just offered to pray for Nathan in Colorado. 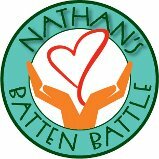 Email us and see comments we sent to Nathan’s family. I am so sorry I have not responded sooner as somehow I misse this comment. He would love a book about the Carribean. He has been on a cruise there and loved it. Please let me know if you need out mailing address. Good morning, I’ve had the opportunity to send various postcards from our trips. I hope Nathan has had an opportunity to see them and has enjoyed them. I’m sending one from Ft. Worth Texas and hope he enjoys.